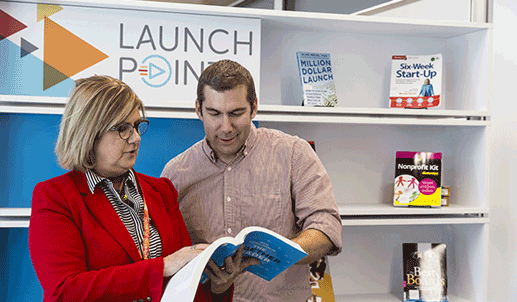 Whether you’re a small business entrepreneur, a nonprofit fundraiser, or an individual considering career or college options, LAUNCH Point is your destination for expertise, services and tools for success. Free workshops and programs provide important networking opportunities and useful information for businesses, job seekers and nonprofit organizations. Visit LAUNCH Point on the 2nd Floor of the Main Library. BUSINESS SERVICES LIBRARIAN Ann Riegle-Crichton offers guidance in writing polished business plans, connecting with research in the marketplace, identifying networking opportunities and getting the most from online and print resources. 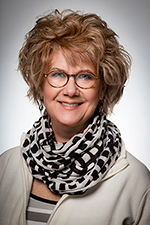 Ann did her undergraduate work in communication and education at Miami University and earned a Masters in Library Science degree from Kent State University. Contact her at 937.496.8631 or by email: ARiegle@daytonmetrolibrary.org. Dayton Metro Library is dedicated to providing workforce development programs, tools and support to help you in every aspect of your career path; whether it’s just starting out, starting over, or improving your skills set. Schedule an appointment with BUSINESS SERVICES LIBRARIAN Ann Riegle-Crichton for personalized guidance with business plans, market research, and other community resources for small business. Some resources require a library card number and pin, get one online today. Get Career + Business News By Email! NONPROFIT RESOURCES LIBRARIAN Susan Rodenberg provides assistance with grant writing, fundraising, board development, planning and other areas of nonprofit interest. 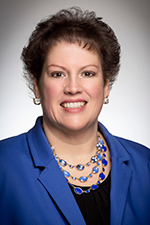 Susan has more than 20 years experience in grant writing, special events, annual campaigns and corporate sponsorships as Development Director and Executive Director of several nonprofits in Cincinnati, Ohio. Contact her at 937.496.8624 or by email: SRodenberg@DaytonMetroLibrary.org. Schedule an appointment with NONPROFIT RESOURCES LIBRARIAN Susan Rodenberg for personalized assistance with funding research, grantwriting, volunteer and board development for your nonprofit organization. Get Nonprofit + Grant News By Email!